Living… in Downton Abbey, a grand estate in Yorkshire, England. Mrs. Hughes arrived at the manor sometime after the birth of Lady Mary, the eldest Crawley daughter, and has been taking care of the household ever since. Profession… head housekeeper. Mrs. Hughes is in charge of the rest of the female servants at the estate. 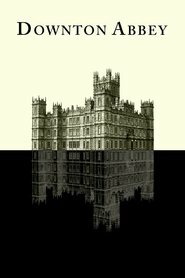 While she finds her job enjoyable, she does often wonder what life would be like if she didn’t work at Downton. As she once asked the butler, Mr. Carson: “Do you ever wish you’d gone another way? Worked in a shop or factory? Had a wife and children?” But it’s unlikely she’ll ever leave Downton. Interests… reading and advising her fellow servants. When she has spare time, Mrs. Hughes likes to sign out books from Lord Grantham’s extensive library. She can also be found comforting some of the younger workers, like William Mason and Gwen, when they’re going through rough patches. Relationship Status… single. The rest of the staff can’t even imagine a workaholic like Mrs. Hughes having a relationship. As the snippy maid Sarah O’Brien says: “If she’s got a boyfriend, I’m a giraffe.” But, the stoic housekeeper actually had a surprisingly dramatic love life in the past. A country farmer named Joe Burns took quite a shine to young Elsie and proposed. Alas, she turned him down. Challenge… running Downton Abbey. A large manor requires a large support system and Mrs. Hughes has to make sure everything is going smoothly. Fancy dinners, prestigious house guests, daily upkeep… it’s all under her purview. If that weren’t enough, both the servants and the family are constantly mucking up things with their personal drama. Mrs. Hughes is often stuck with emergencies that should never have happened. Personality… strict and dutiful, but patient and even-tempered. Mrs. Hughes doesn’t shirk her responsibilities and she doesn’t let anyone else do so either. She is firm, but kind, providing both criticism and encouragement – whatever the situation calls for. Above all, she is a capable woman who will see a problem through to the solution, no matter how personally taxing. Mrs. Hughes's popularity ranking on CharacTour is #1667 out of 5,000+ characters. See our top-ranked characters and read their profiles.